The last week of December I took off to recuperate from a year full of worry and emotional crises. 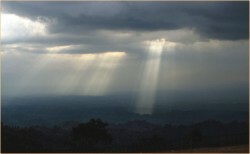 For my destination I chose the remotest part of Chittagong Hill Tracts, as you can guess my intention was of course to be as far from the bustling city life as possible. I was worn out of Dhaka's dog-eat-dog life and I desperately needed to replenish my weary soul. The lush green forests of Kaptai, Bandarban, Rangamati and the sandy beach of Cox's Bazar did wonders for me; I would highly recommend a week with nature as the panacea of a tensed ailing soul. Mermaid Eco Resort in Pechar Dwip, Cox's Bazaar is as close to nature as you can get. Living only on the bare necessities of life in an uber stylish way makes you realise that life can be simple and easy only if you wish for it to be so. You don't always have to be in the rat race of the metropolis; sometimes coming back to the basics can be gratifying. The ambience that Shohag created for his eco resort and the attention to details that he gave actually made the Cox's Bazaar experience totally different from my prior touristy visits to the beach city. Just walking on the private beach of some hotels or splashing around the waves with a million others doesn't actually take away one's weariness nor does it do the wonders you wish for. However, a sumptuous dinner under the canopy of coconut trees, laying on your back and star gazing, reading on a hammock, taking a thrilling country boat ride to the beach, picking shells from the unspoiled beach; all these have a profound relaxing effect on you. The soft light of the kerosene lantern makes you realise how romantic the darkness of the night can be or a simple foot wash stand made of a big terracotta bowl and a wooden scoop beside it can make you giggle like a girl and make you want to wash your foot for no reason at all. Alongside the eco resort, I fell in love with so many things last week. The ride to Milonchari and Nilgiri through the serpentine roads of Bandarban is one I will forever cherish in my mind. Then there is the taste of wild honey sold at the Hill Side Resort of Guide Tours at Milonchari, their curry of fresh fish from Sangu River; all was to die for. The random stops for tea, the smell of the sweet papaya and the tang from bananas grown on the hills were a few of the things I couldn't resist at all and the friendly smiles of the hill people will linger on in my memory for a long time. But these are not the reasons why I want to drop everything here in the city and zoom off to the hills; I was totally bowled out by the beauty of Mother Nature. The rolling green hills and the stillness of the place got me thinking; and the early morning walk on the clouds hanging low on the Nilgiri hills made me realise what a lovely part of my world I was missing out on. I am sold out to the romantic Bandarban; however the Kaptai forest, the serene lake and the forest department bungalow soothed my soul and most importantly meeting my friends there and chilling out to the core left me very happy. Carrying forth that elated note, I was ecstatic with my Friday DIY project, which rounded of my week superbly. I bought a bag full of meshta (Roselle ) -some call it amlo madhu as well, it is a kind of red berry like fruit that looks like closed hibiscus flowers with fleshy edible petals from Shoilo Propat in Bandarban. And upon returning I made jelly with it. Bottling them in old jam jars and labelling them, I wrapped them up as my New Year's gift to friends and family. It gave me a very different kind of satisfaction and a delightful sense of achievement; something I was craving for, for a long time. It's 'racquet' season, folks! Bangladesh's favourite seasonal sport is taking over the streets and fields once more and if you don't get in on the action then you are missing out on the action. 'racquet' season, folks! 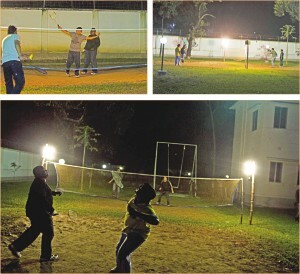 Bangladesh's favourite seasonal sport is taking over the streets and fields once more and if you don't get in on the action then you are missing out on the action. Fields may be rare, but the streets sure are not. Hence, it's a common sight to see people of all ages taking over the streets, setting up their own little private badminton courts. And everybody knows somebody who knows somebody who happens to have set up a court. So it's just the right time to take advantage of it. Not only is it going to shed the cholesterols gained during early morning nehari sessions, it will also keep you fit and at the top of your shape. 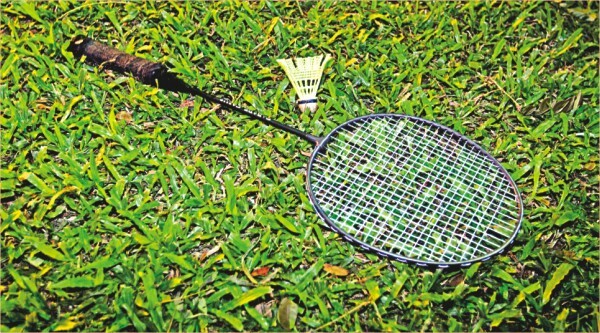 Badminton may seem easy, but anyone will tell you that it is not. The best way to tell how old one is getting is by playing one game of badminton. Popularised back in the 18th century, when the game was widespread in the Garrison town of Pune, the game came to be known as Poona. Soon the game spread throughout the globe. Although a European game, it has come to be dominated by Asian teams. Just like Cricket. And Football. With the cold wind blowing in your face, the adrenaline pumping, the tactics going over your head and the sudden swift movement which results in the 'thunk', Badminton brings you alive. If you are one of the unfortunate few who have no access to any place to play the game, then fear not. “When life gives you lemons, you make lemonade”. Similarly, when life gives you shuttlecock dreams, you make your own court. It's easy, really. The overall dimension of the court should be 20 feet by 44 feet, with the net in the middle creating a 22 feet by 20 feet area on each side. The short service line is marked six feet by six inches whilst some are also seven feet from the centreline. Use ropes to get your measurements right. Buy three pounds of white paint to print the lines and two bottles of kerosene to mix in the paint, making it more durable. But careful with the kerosene; too much and the paint won't stay. These will set you off roughly 400 takas. If painting your own court sounds like an ordeal, you can use chalk for marking, although this needs to be replaced everyday. However, chalk applies when making courts on fields or gardens. Paint works when you are carving a court out right in the middle of the street. 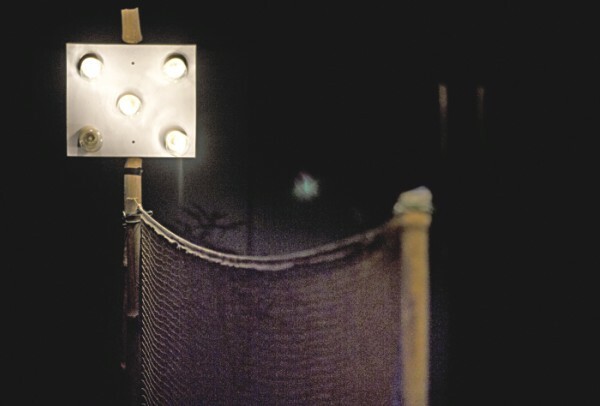 Now Badminton is generally a nocturnal activity. Streets lights are unreliable and never suffice. Now, you need to buy 8 bulbs. Energy Savers cost around Tk.150-200 while regular bulbs can be procured for around Tk.45-90. Holders for the bulbs will set you back Tk.20 a pop, while the box for the contraption can be made within Tk.100. Source of electricity should always be a friend's house. Or absolutely anyone's house provided that prior permission has been taken. Then, finally we come to equipment and proper wear. Sneakers and trousers allow swift movement. A wind-breaker helps to beat the chill without inducing bouts of sweat. With the ready garments, its time for racquets. If you are taking the sport seriously, opt for a Yonex. With a price range of Tk.4000-12,000, these racquets are durable and pack quite a punch. For a moderate sum of Tk.450-550, Fox, Best and Wish can be purchased with Wish being the best among the lot. Next come shuttlecocks. The feather ones are more on the expensive side while a box of plastic shuttlecocks will last longer. They cost around Tk.110-200. Those who take the sports religiously will consider it an insult if offered the plastic shuttlecock, so it's best to keep a container of feather ones available as well. Finally, you need the net. Nets cost Tk.300 at most, depending on quality. The best place to gather all these is to the wholesale sporting market right opposite to Stadium Market. The actual Stadium Market also has whatever you need, but the wholesale market has all of that and more, at much lower prices. Now that you know all you need to know, its time to go out there and make your own court, make your own rules, hold your own competitions and spread your name all over your neighbourhood. Who knows, you just might be the next Subash Chandra, in a manner of speaking.